This stayed was very pleasant! The room was excellent!. The staff and service were great! Roomy rooms, light breakfast included and parking right at your door. A great set up and huge grounds. Only downside was returning at 8.00 pm from our day out and being told it was too late for dinner in the restaurant. Next time we will arrange that in advance. Thank you for staying and your ratings. Great one night stay; very neat and comfortable. Victoria was polite, helpful and friendly. Would definitely stay again! Thank you, it was a pleasure to have you stay. Large and comfortable room, in the centre of vineyards. Easy to find with good signage, plenty of parking, very friendly lady at reception. Thanks Noel. The air conditioner has been serviced since your visit. Spacious clean units, very comfortable beds, lovely surrounds. We loved the units and will definitely go back again and recommend to friend. The unit was well appointed with a lovely, reasonably modern bathroom and a large room. The bed was comfortable and the unit would be suitable for everyone, from solo travellers to small families or groups of friends. Having breakfast options available in the room was great. I could have very comfortably stayed for several nights and enjoyed the hospitality and the wines that the surrounding locations have to offer. Thank you. Thank you Nicolette for your detailed review covering your visit as well as an overall summary. Thank you Trudie, The swimming pool is on the neighbouring property so no longer available to guests, unfortunately. Simple and basic but clean fresh rooms.. had everything we needed! Really enjoyed the stay.. many thanks! Yes ! Awesome locAtion. Definitely stay again if visiting. Thank you for a lovey stay and the upgrade - very much appreciated! Pleasant friendly staff.willing to listen. Good location.enjoyed the stay.very spacious room. A wonderful place to stay. The property is very well maintained and clean. Very pleasant! 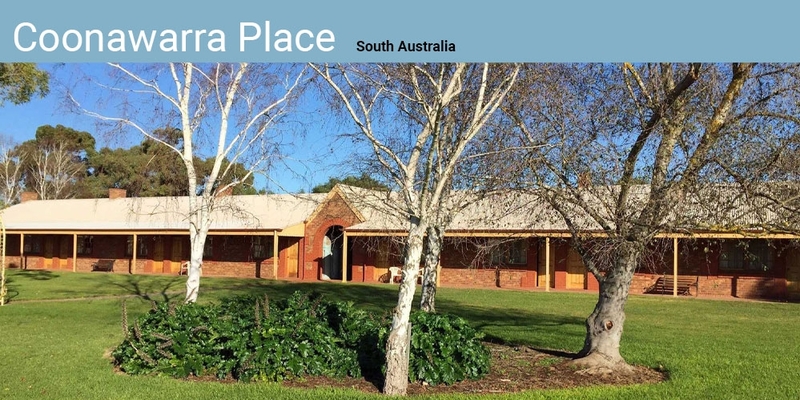 Great location to "do" Coonawarra! Friendly welcome. Some breakfast things were not replenished for the final breakfast eg fruit juice and cereals used. Otherwise the room was comfortable. We appreciated the upgrade. Thank you. An extra bar of soap to use in the bathroom would have been good. We ended up using our own. The units were clean and tidy, the bathrooms were nice. Furniture could use updating (if we had to pick something) but it was overall lovely. Great location and having the restaurant onsite was convenient. Enjoyed our stay there, Staff were very helpful with advice in the local area and when our heating played up. Ran out of hot water int he shower, assumed all of the other guests used it.